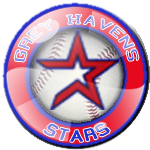 The Grey Havens Stars made it look easy and are heading to the Fellowship Series. They have ousted the Ravenhill Darkwings in a sweep, the final win coming by a 9-0 score, clinching the 2-0 series win. “Everything’s clicking for us right now,” said Raven Eloldor, who was named MVP for the series. Eloldor hit .500 with a .500 on-base percentage. He added 2 home runs, drove in 6 RBI and scored 2 runs. The Grey Havens Stars will play against the Weathertop Witch Kings in the next round. Weathertop had a bye in the Hobbit Series. The Fellowship Series schedule will be announced after the Hobbit Series finishes.